Ormoc City through Mayor Eric Codilla recently signed a memorandum of agreement with the Department of Trade and Industry (DTI) for the city to enhance its competitiveness by linking with the Philippine Business Registry (PBR). DTI Leyte Director Desiderio Belas, Jr. informed that the signing of a memorandum of agreement between the BOI, the DTI, and the city government to be linked to the PBR, was one of the highlights of the recently held Investment Conference in Ormoc City. 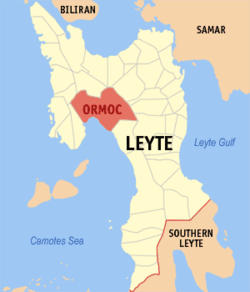 As a result of this linkage, said DTI provincial director Desiderio Belas, a businessman can now register his business in Ormoc with just the click of a mouse. Director Belas said the Philippines Business Registry (PBR) is a Government-initiated project that will facilitate business registration-related transactions by integrating all agencies involved in business registration, such as the Department of Trade and Industry (DTI), Securities and Exchange Commission (SEC), Cooperative Development Authority (CDA), Bureau of Internal Revenue (BIR), Social Security System (SSS), Home Development Mutual Fund (Pag-IBIG), Philippine Health Insurance Corporation (PhilHealth), Local Government Units (LGUs) and other permit/license-issuing agencies. The PBR provides faster process for business registration, thus strengthening the government’s effort of providing quality service to the people and realizing its commitment to curb corruption and reduce red tape in the bureaucracy. In particular, Director Belas said, it is a web-based system that serves as a one-stop shop for entrepreneurs who need to transact with several agencies to be able to start operating a business. Each of the agencies’ computerized registration systems will be interlinked so that applicants need not physically go to each agency to register their businesses. At present, Director Belas informed, sole proprietorships can already validate existing/register their Business Names (BNs) from the DTI, get or validate their existing Tax Identification Numbers (TINs) from the BIR and employer registration numbers from the Social Security System (SSS), Philippine Health Insurance Corporation (PhilHealth) and Home Development Mutual Fund (Pag-IBIG Fund) through the PBR system. 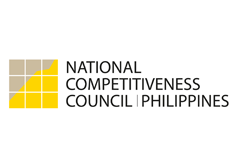 Sole proprietors may opt to apply from computer cafés or their homes/office using their PCs with internet connection or go to computer cafés or DTI Offices with designated PBR Kiosks or tellers and register through them. Application through a teller will involve submission of a filled up application form which may be downloaded from the website or completed and printed by the public online for submission to the PBR kiosks or tellers. Also present during the MOA signing were Board of Investments BOI Governor Pelagio Tan Ricalde and DTI Region 8 Director Cynthia Nierras.